Discount Magic - Sponge Balls. 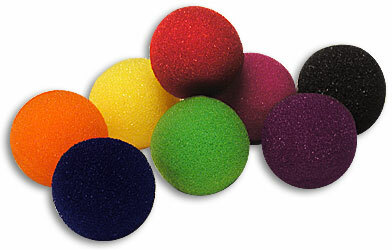 Magic by Gosh supplies sponge balls to magic shops all over the world, and they are universally accepted as the best, these sponge balls are standard type, 1.5" Red, and come singularly, or bundled. Good sponges! Although if you don't anything about sponge ma ..